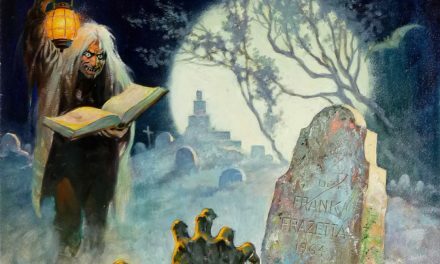 Recently, Comic Art Community offered up an update of its top ten comic book television series. Animation was purposely excluded because undoubtedly it would have dominated the list (as the special effects of animation is only limited by the artist’s imagination and cartoons generally enjoy longer production runs which could mean more story development). Comic book characters found themselves in the theater of live action and animation around the same time, Republic Pictures producing a film serial for Adventures of Captain Marvel in March 1941 while Fleischer Studios saw the Superman short animated films emerge in the fall of that same year. As for television, the fall of 1952 would give the world Adventures of Superman as newfound animation studio Filmation followed that series with the brand The New Adventures of Superman in 1966 (while Grantray-Lawrence Animation saw its series The Marvel Super Heroes premiere roughly a week prior). Since that time, it seems like television has not gone long without animated superheroes as Filmation’s Superman gave rise to The Adventures of Superboy, Aquaman, and The Adventures of Batman (as Wonder Woman appeared in The Brady Kids) while Grantray-Lawrence followed up with Spider-Man (as Marvel expanded with Hanna-Barbera in Fantastic Four and Fred and Barney Meet The Thing and with DePatie-Freleng Enterprises in The New Fantastic Four and Spider-Woman). Today, superheroes are still dominant in the world of animation albeit live action seems to be the medium of choice of late. 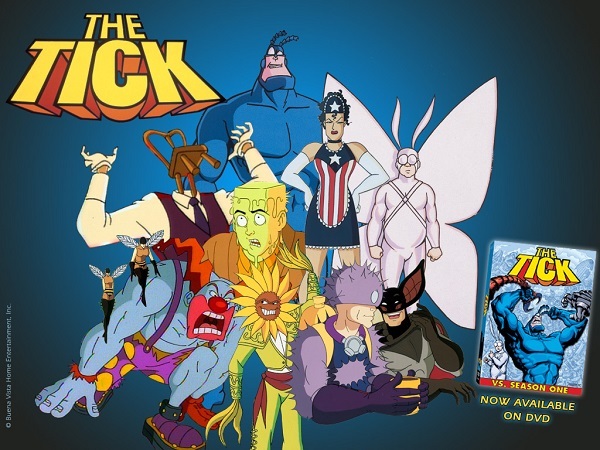 Cartoon Network produced the DC Nation programming block for two years beginning in 2012 featuring Young Justice, Green Lantern: The Animated Series, Teen Titans Go!, and Beware the Batman along with various animated shorts. Disney XD produced its own block that same year in Marvel Universe featuring The Avengers: Earth’s Mightiest Heroes, Ultimate Spider-Man, Avengers Assemble, Hulk and the Agents of S.M.A.S.H., and Guardians of the Galaxy with shorts like Marvel Mash-Up and LEGO Marvel Super Heroes. Whereas Marvel Universe continues today (with Big Hero 6 coming in 2017), DC Nation came to an end as Teen Titans Go! still airs on the network, CW Seed would stream Vixen (part of the DC Television Universe), Justice League Action will be coming to Cartoon Network at some point, and Netflix is reportedly considering ordering a third season of Young Justice. Lets then take a look at what are arguably the best animated comic book television series across its past fifty years in the medium. The journey to an animated Avengers television series was a long one. 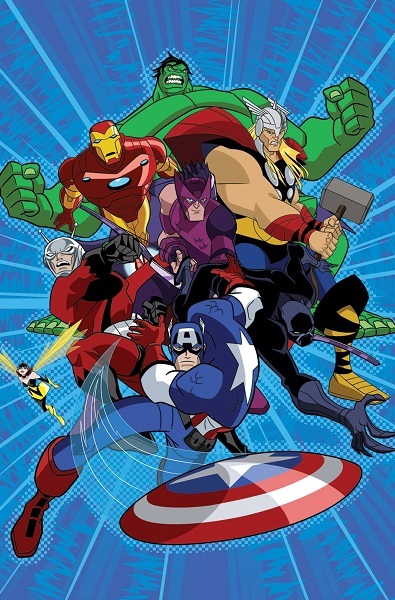 For The Marvel Super Heroes, Marvel’s first animated series, the Avengers would make a few appearances in Captain America’s episodes (as well as one of Hulk’s). In 1981, the series Spider-Man and His Amazing Friends emerged on NBC likely to compete against the popularity of ABC’s long-running Super Friends franchise (which featured the Justice League of America). Therein, Spider-Man teamed with the Spider-Friends Iceman and Firestar as well as guest heroes like Captain America, Hulk, Thor, Doctor Strange, Sub-Mariner, and the X-Men (with cameos by Tony Stark and Matt Murdock) against the likes of Doctor Doom, Magneto, Loki, Red Skull, Dracula, Juggernaut, and Spider-Man’s foes. The series was popular lasting three seasons and spawned a Hulk TV series with a pilot produced for the X-Men (with pitches for Iron Man, Daredevil, Teen Hulk, and the Monstress left unproduced) but, save a brief cameo, the Avengers never came from the show. 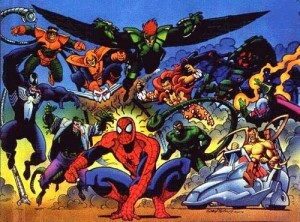 The 1990s brought about several Marvel cartoons in X-Men, Fantastic Four, Iron Man (which featured a version of Force Works, a group based on the West Coast Avengers), Spider-Man (which included a three-part story based on Secret Wars), Incredible Hulk, and Silver Surfer before finally producing an Avengers cartoon in United They Stand. Without a doubt, Avengers: UTS is considered one of the worst comic book cartoons ever made. 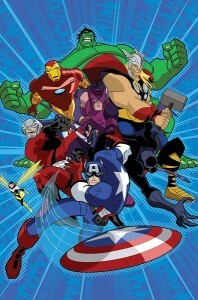 With an art style likely based on the wildly popular DC Animated Universe franchise meets awful action figure character designs, the series forewent well-known characters like Captain America, Iron Man, Thor, and Hulk for a West Coast Avengers-inspired team while disregarding the loose continuity of the six aforementioned series of the ’90s to be its own bland, empty partly-Power Rangers-inspired mess. It would take ten years and the emergence of the Marvel Cinematic Universe before the Avengers returned to television. 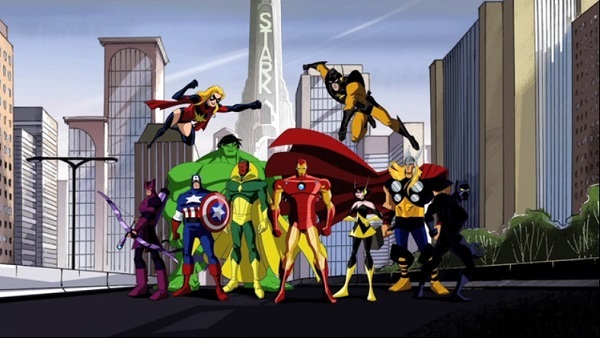 Considering the success of Marvel at the box office and an Avengers film planned for release in 2012, Simon Philips and Eric S. Rollman of Marvel Animation teamed with Film Roman to produce an Avengers animated series as a means to help promote the coming movie with children. Christopher Yost was brought on as story editor where he could cherry-pick from the group’s almost fifty year history including the films and Marvel’s Ultimate line. 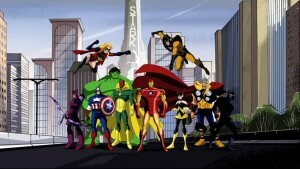 Without a doubt, Yost produced arguably the best animated version of the Avengers thus far. Predominantly featuring the Avengers that would appear in the upcoming film (with Ant-Man and Wasp in place of Black Widow and Hawkeye, though both emerged early on) initially, the first season saw the heroes partake in an elaborate game of chess with Loki as they’re pitted against dozens of their most dangerous foes in a tour across the Marvel Universe. And if the first season gave viewers a taste of the Marvel Universe, the second was a buffet adapting some of the greatest stories in Marvel’s history against a backdrop of a secret invasion by the Skrull introducing the likes of the Guardians of the Galaxy and Heroes for Hire. Avengers: EMH is almost universally hailed by comic fans as the best representation of the group outside of the source material and was quite popular for its time. Around the time the series came about, Disney would acquire Marvel and within a year or so would eliminate all of its animated series (including Spectacular Spider-Man, Iron Man: Armored Adventures, and The Super Hero Squad Show). For EMH, it was stated a change in purpose for the property which was to abandon the use of an ongoing narrative such that viewers didn’t need to see every episode in chronological order. As such, the series was canceled after two seasons and replaced by Avengers Assemble from Man of Action (known for Cartoon Network’s Ben 10) only to fall into a similar narrative trap. The show’s third season will begin later this month. When it comes to Marvel adapting its properties for animation, Spider-Man, X-Men, Hulk, and the Fantastic Four are by far the most common to make the jump. The X-Men would first appear in animation in The Marvel Super Heroes for a Sub-Mariner episode before getting a pilot produced in 1989 that was not picked up. It would only take three years after that pilot premiered that a series finally emerged that maybe the most well-known animated adaptation of the X-Men. Only a few short years later came X-Men: Evolution and only a few years after that came Wolverine and the X-Men. In a manner, Wolverine was a sequel to Evolution featuring the same creative team as well as many elements from the earlier series. In the new series, Professor Xavier and Jean Grey go missing as the X-Men disband. Xavier would later be found comatose in the care of Magneto and communicates telepathically from twenty years in the future that Wolverine must reform and lead the X-Men to prevent a coming calamity. 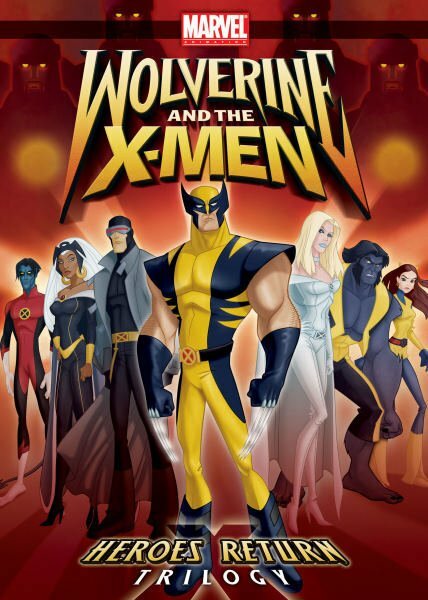 The series follows Wolverine following his mentor’s wishes as the team in the present begins to alter Earth’s desolate future ruled by Master Mold and the Sentinels. Over the course of the series, the X-Men would combat the likes of the Mutant Response Division (MRD), Brotherhood of Evil Mutants, Acolytes, Marauders, and the Hellfire Club eventually changing Earth’s future only for it to instead ring in the Age of Apocalypse. 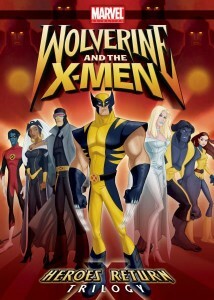 In its relatively short run, Wolverine tackled many of the best story elements of the franchise from its later decades with an overall, overreaching narrative that could have inspired a similar tone in Avengers: Earth’s Mightiest Heroes (as Christopher Yost was a writer on Evolution, where he got his big break, and Wolverine only to become EMH‘s story editor). Sadly, Wolverine would only last one season when Marvel reportedly couldn’t negotiate a lower cost to produce the series with Singapore-based Toonz Entertainment. There would be hints in EMH that it was in the same universe as Wolverine (many of the same voice actors and a nod to the MRD). The Silver Age of Marvel Comics (which saw Atlas become Marvel) produced essentially most of everything the company is known for today. 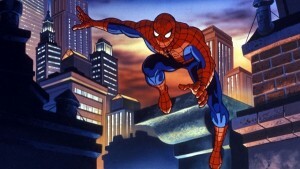 While the likes of the X-Men, Fantastic Four, Avengers, and more came into being, Spider-Man was likely the greatest breakout of the company (his prominence in this manner seen even today). Grantray-Lawrence Animation would produce The Marvel Super Heroes in 1966 and followed that up the next year with Spider-Man in his own solo show. 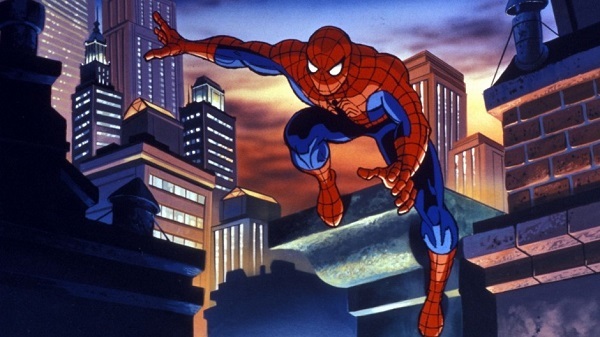 Since that time, an animated series based on Spider-Man emerged at least every decade (if not several series every decade). 1994 would bring the character’s third solo animated series but with a decidedly different approach. While the first season of the original Spider-Man cartoon tried to adapt the character’s stories, this approach was all but abandoned in later seasons. The character’s 1981 series (which aired alongside Amazing Friends) saw the hero more-or-less enter into a villain-of-the-week format. 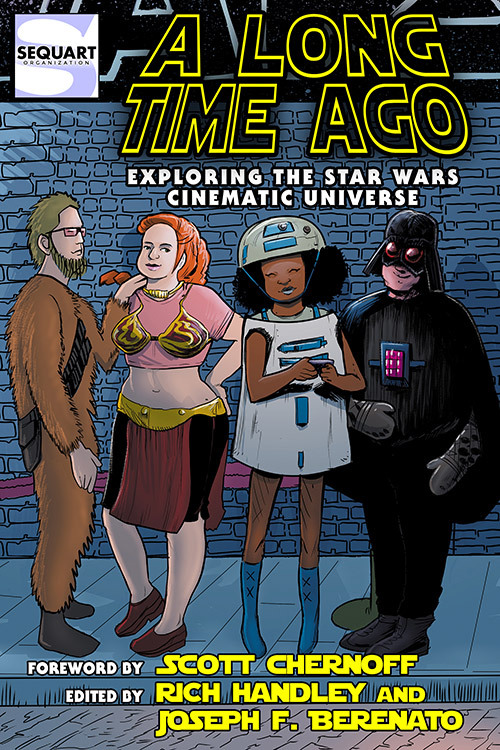 But the 1994 series tried to give a modern spin on many of the character’s stories over the decades albeit with likely action figure-based character designs. With X-Men becoming a huge hit for the Fox Kids programming block alongside Batman: The Animated Series and then Mighty Morphin Power Rangers, Spider-Man was brought in to keep the momentum going. Proving to be another hit with a strong accompanying toyline, Spider-Man began as the eponymous character became a target of the Kingpin of Crime in New York while a myriad of supervillains emerged to confound him (such classic villains as the Lizard, Doctor Octopus, Mysterio, Scorpion, Kraven, Rhino, Shocker, Hobgoblin, and Chameleon popping up in the first season alone). The second season moved into more danger for the hero by introducing an alliance of his foes by the criminal underworld in the Insidious Six (the word “sinister” was considered objectionable despite there being a Mr. Sinister in the X-Men animated series on the same channel and programming block). This season would also begin crossing over with other Marvel animated properties as the X-Men appeared and introduced new characters such as the Punisher and Blade the Vampire Hunter (two years before he emerged in movie theaters). From the third season and on, Spider-Man toured the Marvel Universe teaming with Doctor Strange, Daredevil, Invaders (called the Six Forgotten Warriors), Iron Man, and the Fantastic Four and adapted classic stories like “The Goblin War,” “The Goblin’s Last Stand,” “The Wedding,” and Secret Wars. Lasting five seasons with 65 episodes, even up to its final episode the series was a top ratings draw for Fox and only ended reportedly due to disagreements between Fox’s Margaret Loesch and Marvel’s Avi Arad (the series ended on a cliffhanger as its writers were confidant they would at least get another season or two due to its huge ratings). A year after Spider-Man‘s cancellation, Fox would premier an unofficial sequel in Spider-Man Unlimited where Spider-Man went to another Earth but performed poorly against the emerging series Pokémon from rival programming block Kids’ WB.